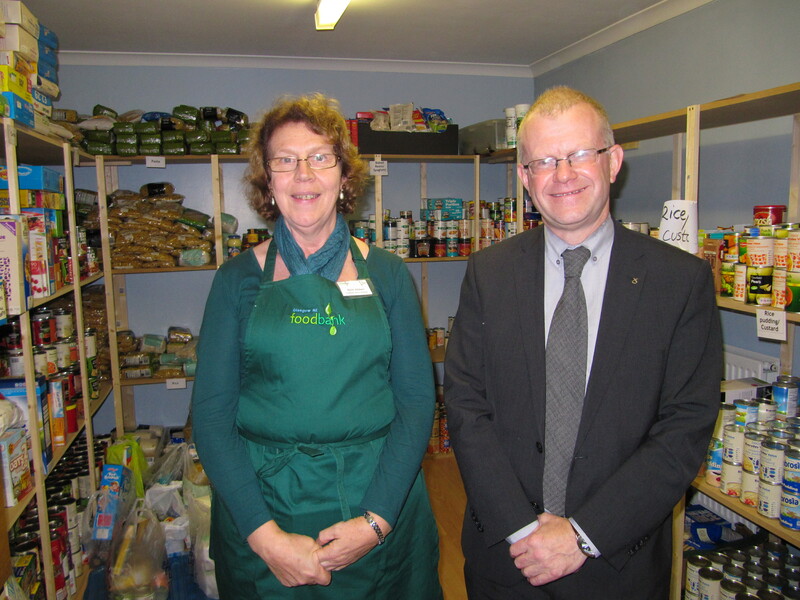 John Mason, SNP MSP for Shettleston, today (Friday) popped into the local Calton Parkhead food bank. The food bank provides food parcels across Glasgow’s East End, with essential food for individuals and families in case of emergency, covering time it takes for other social care infrastructures to be implemented in times of need. 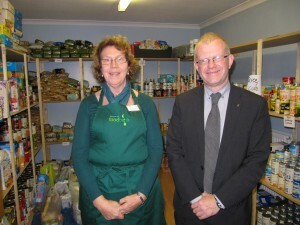 John visited one of the Trussell Trust branches in his constituency, Calton Parkhead Church of Scotland, to find out more about their excellent work. In order to receive food parcels, a voucher system is in place. Vouchers will be issued via external agencies, such as Social Work, local Housing Associations and the Department of Work and Pensions, amongst others soon to be announced. “I find it incredibly sad that there is a requirement for food banks in the 21st century. It is a pretty shameful indictment of the UK Government’s draconian welfare reforms that East End folk are being forced to go cap in hand to local food banks simply to feed their families. “Whilst it’s disappointing that we do need food banks, it is incredibly heartening that we have fabulous volunteers at the Glasgow North East food bank team, led by Beth Aitken, who are doing all of this in their spare time. “Today I learned that the food bank particularly needs donations of tinned fish, meat and vegetables/fruits. In addition to this, I am told that there is a requirement for a fridge which the group are fundraising for so I am sure they would appreciate any donations in that regard”.